Today’s Rejection Survivor Interview is with Savannah Thorne, author of several books (as yet unpublished) and professional writer and editor with over 10 years of experience writing for magazines, blogs, and literature collections. 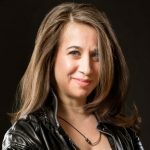 As an editor, her clients include New York Times and USA Today bestselling authors such as William Bernhardt and Jenny Milchman. But you’re not here for her extensive list of credentials; this is the Rejection Survival Guide, and you’re here to hear about her failures! 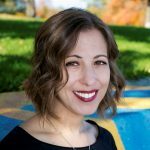 I was especially excited to interview Savvy because she has dealt with a staggering number of rejections and though she’s been through five literary agents (!) she has yet to find a home for any of her books. First off, when I asked if I could interview you, you shared this blog post with me. You state in the post that you’ve been rejected literally thousands of times (and we’ll get into more details of your story soon). You list two things that helped you get through all the rejections: counting your successes and righteous anger. Righteous anger–that’s a coping mechanism that hadn’t occurred to me! Can you tell us more about how this approach helps you deal with rejections? Can you elaborate on counting your successes? How do you do this and how do you think it helps you? It can also be hard to keep successes in sight when you feel like you’re drowning in rejections. So each little one is important. Sometimes successes are painful, such as, “This book was so close! But we can’t accept it…” Ouch. But you still have to look at this type of rejection as a success. Remember how many people don’t even get “so close!” And count it as a positive in your corner. So where did all these thousands of rejections come from? Tell us how you got to where you are now. Oh, my. That’s a tale I’ll have to sum up. I have been working for about fifteen years now at writing. And in the early days—like many of us—I thought all I had to do was write a book for the agents and publishers to queue up. After all, how many people who claim to want to be writers even take the time to string 500 pages together? But you don’t get to Carnegie Hall without practice. So yes, I wasted some of my early days querying agents when I wasn’t really ready. And many agents were very courteous. They would praise some amount of talent. And talent is fine, but it’s not the same as knowing what the roadmaps are for writing. I revised and rewrote and created new novels and queried again. Sometimes, after a rejection would come in, I would try another agent at the same agency. In the years, as I mentioned, I have signed with five different agents, and so many of my queries came after one agent quit for personal family reasons, another agency closed after Borders Books shut down, another decided to focus on nonfiction only, and another simply gave up on me after trying five publishers and not getting a response. It’s important you find an agent who doesn’t give up on you, just like you don’t give up on your work. My current agent has been with me for years, supportive through all of it, and also pointed out that some novels don’t get accepted until years after they were originally submitted. With all of the changes in the publishing world, some editors are new at publishing houses—and to them, your work is as fresh as it was when you first sent it out. What do you wish you had known back when you signed with your first agent? Ha, ha; well, I wish I had known not to pay a “copying and postage fee” up front! Copying and postage does wind up taken out of an author’s royalties, and so at the time this seemed reasonable. Now I know it’s a big red flag. Oh wow. Yes. I’m very grateful that my parents spotted that red flag and told me not to accept when I got an “offer” from an agent who asked for an up-front fee. This was very early on in the process (I was only 15!) and I would have been easy prey. So for all those querying writers out there: DO NOT SIGN WITH AN AGENT WHO ASKS FOR AN UP-FRONT FEE! Moving along: in my experience, the “almosts” were a lot harder to cope with than the off-the-bat “nos.” It was a special kind of torture to feel that my goal lay juuust out of my reach. Was that your experience also? What’s the hardest rejection you had to cope with, and how did you recover from it? This is, in many ways, what it is to become a professional author. I think that we have to go from the rejections that are flat-out “nos” to the ones that are “soooo close” before we hit that eventual “yes.” It’s not a roadmap, but a compass. You know you’re going in the right direction. The hardest rejection I dealt with was a great independent publishing house that took my book up the rungs of the ladder to an acquisition meeting, only for me to be told “no” by various departments at the house. The lead editor loved my book but other people didn’t. Ouch! And double ouch! But I spoke to my agent and she said she felt there were really more reasons than they were admitting behind the rejection. And lo and behold, when I re-read my novel, I found unbelievable parts that felt out of place. It needed another scouring. Sometimes the gatekeepers really are gatekeepers for a reason. Yes, we need to feel that “righteous anger” in order to keep going, but we also need to turn a microscope on our work at the same time. What are some things your “self-doubt demons” say to you, and how do you counter them? I just went through this in a major way: “I’m a fool. So many people go through life saying, ‘someday I’ll be rich’ or ‘someday I’ll be famous’ and they just have to settle down and realize it’s plainly not true. I’ve gone through my life saying, ‘I’ll be a published author.’ Hah! What an idiot. I’m a fool, and I’ve wasted my life.” I counter it with a lucky dose of being married to my best friend and harshest critic. He will tell me when my work is just plain wrong. And so I can trust him when I come to him asking if I am a fool who wasted her life, and he still says, “I believe in you. This part is great. And this part is great. This part here… this needs work.” Ha ha. When you see other writers accomplishing what you’ve so far failed to accomplish, do you feel jealous? What do you do with that jealousy? I actually don’t. I mean, sure, there’ve been the odd authors who are top hits in their twenties, or people who wrote on a similar topic to mine who got their book out first, and that hurts. But there are so many stories to be told, and so many books. There’s room for all. And everyone writes in her own way. No one is exactly the same. When you get a bad rejection or review, who’s the first person you turn to for support? How has this person helped you on your journey? Again, that is my husband. There is almost no draft he hasn’t listened to me yarn on about. Often he is my first—and belovedly worst—critic. He has supported my silly dream-chasing for as long as I’ve been writing as an adult. He’s always there for me when I feel down. What are your hopes for the future of your career? I have a read coming up with my dream editor, and I have just enough time to tidy a draft before my agent sends to him. So needless to say my stomach is full of—I don’t know, pterodactyls? Not butterflies; they’re too small, cute and mellow. If a future Savannah magically turned up to deliver a message to you, what do you think–or hope–she would say? She keeps her eyes on her own path rather than casting a covetous eye on others’ paths: “There are so many stories to be told… There’s room for all.” More on “How to Not Strangle People Who Are More Successful Than You” here! Many thanks to Savvy Thorne for taking the time to share this with us! 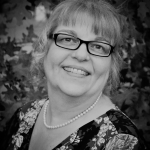 You can learn more about Savvy and her editing services at her website, SavvyEdit.com. Are you a Rejection Survivor? I’d love to interview you! Please get in touch with me and tell me a little about your experiences with rejection so I can put together some questions for you! Click here to read previous Rejection Survivor Interviews. I loved this interview, Savvy! Righteous anger and “I’ll show these idiots” has definitely gotten me through some dark times too. I wish you so much luck with that dream editor!